Just off junction 21 of the M62, less than 750 metres from New Hey Railway Station, the hotel offers great value, with free parking and spacious, comfortable and modern en suite rooms. The Premier Inn Rochdale has a convenient location, with good access to the region's major roads. Rochdale's town centre is about 5 km away. New Hey Railway Station offers regular trains to Rochdale, Oldham and Manchester. The hotel has a 24-hour reception desk and some rooms can take 2 adults and up to 2 children (under 16 years). The 2 children also get a free full breakfast when accompanied by an adult eating a full breakfast. An all-you-can-eat buffet breakfast is available each morning and includes the expected cooked items such as scrambled, fried, poached or boiled eggs, and pork or vegetarian sausages. There is also a wide continental selection. The on-site Table Table restaurant offers a fresh new twist on eating out. A boomtown in the industrial revolution, Rochdale has plenty going for it nowadays too. 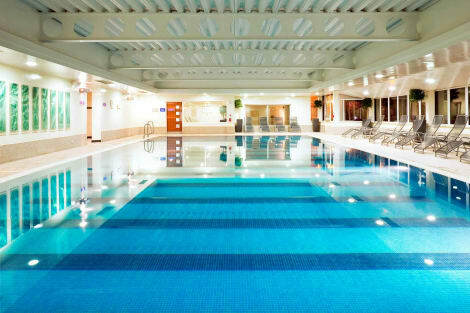 So put yourself at the heart of it at Premier Inn Rochdale. You'll be a stone's throw from the fascinating Touchstones Museum, not to mention the Gracie Fields Theatre. Stroll around Hollingworth Lake and stop for a bite to eat. Or get your teeth into some serious history at Ellen Road Engine House. Visit in June for the Annual Band Contest, or see a concert at Heaton Park. Then rest your eyes - and everything else - with our incredibly comfy beds and Table Table restaurant. Found at the base of the beautiful Pennine Hills, Rochdale is a bustling town just a few miles north of Manchester, with great historic places of interest and lovely restaurants and bars to relax in. Set along the River Roch and surrounded by rolling countryside, Rochdale has been a thriving trade hub for centuries. Famous for manufacturing wool and later, home to some of the first mills of the Industrial Revolution, this historic market town has an interesting past and stunning local landmarks, built by the wealthy people who have called the town their home. Perhaps the most iconic sight in Rochdale is the ornate Town Hall. This Grade I listed building was built during the 19th century and is a great example of fine Gothic Revival architecture at its best. Opposite the Town Hall, you'll spot the First World War Memorial, and a short trip will take you to one of the giant structures of the Industrial age, the Grade II listed Arrow Mill. For a more relaxing afternoon, take a stroll around the Rochdale Pioneers Museum, an intriguing place celebrating the cooperative movement. Or grab afternoon tea in a stylish setting at Healey Dell Heritage Centre and Tea Rooms. Finding the perfect place to stay in this vibrant town is easy. Popular Rochdale hotels include the Premier Inn Rochdale, The Royal Toby Hotel and the Mercure Manchester Norton Grange Hotel and Spa. When it comes to grabbing a bite to eat, you'll be spoilt for choice too. You can sample Indian food at Asia Restaurant, indulge in a steak at the Waterside Restaurant and Bar, or enjoy Italian cuisine at La Scala. But wherever you choose to stay and dine, make sure to get out and explore as much of Rochdale as possible for a lovely trip to remember.